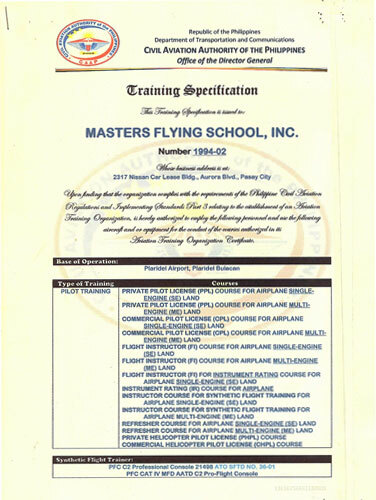 We ensure that all students are provided with above industry technical methodology and training specifications. 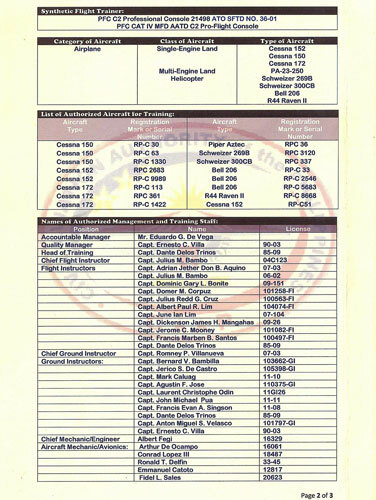 Our Conformity with the Civil Aviation Authority of the Philippines (CAAP) reassures students safe and efficient programs. 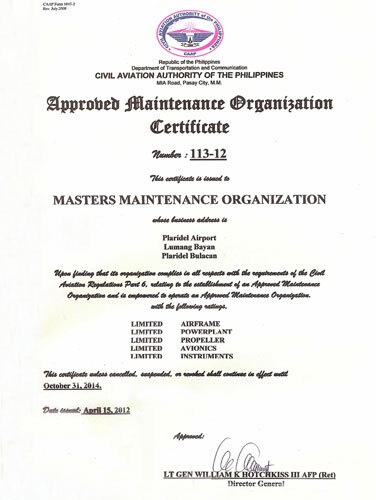 Certification of compliance are carried throughout all levels of management and operations as well as independent third party bodies. 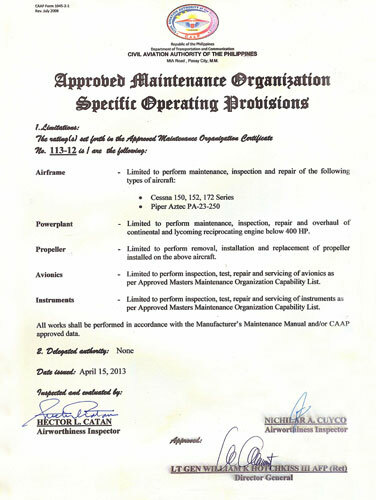 As a matter of fact, the entire fleet of aircraft are consistently duly registered and airworthy. 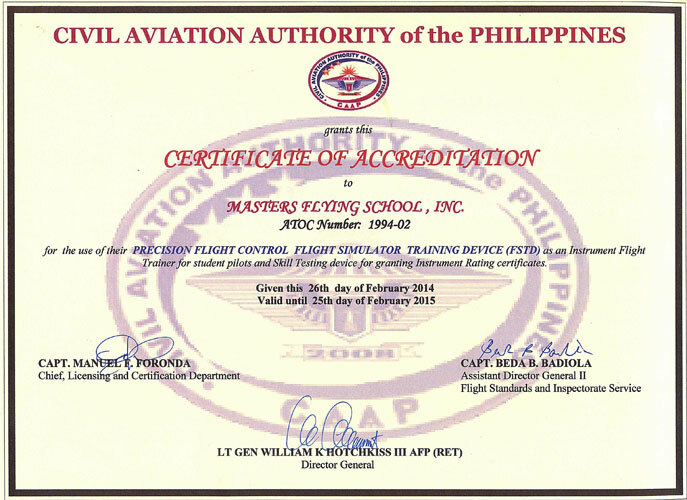 We also certify and issue certificates of graduation and course completion as specified and autorized by the Civil Aviation Authority of the Philippines (CAAP).